Determined to make it as an actress in Hollywood, Sarah Walker spends her days working a dead-end job, enduring petty friendships and going on countless casting calls in hopes of catching her big break. After a series of strange auditions, Sarah lands the leading role in a new film from a mysterious production company. But with this opportunity comes bizarre ramifications that will transform her both mentally and physically into something beautiful... and altogether terrifying. 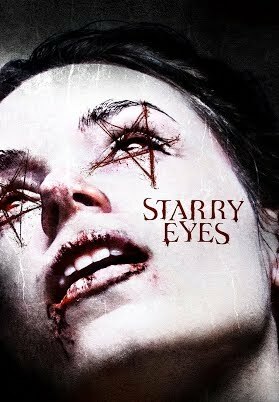 From the producer of Cheap Thrills and Jodorowsky’s Dune, Dennis Widmyer & Kevin Kolsch’s STARRY EYES is an occult tale of ambition, possession, and the true cost of fame.